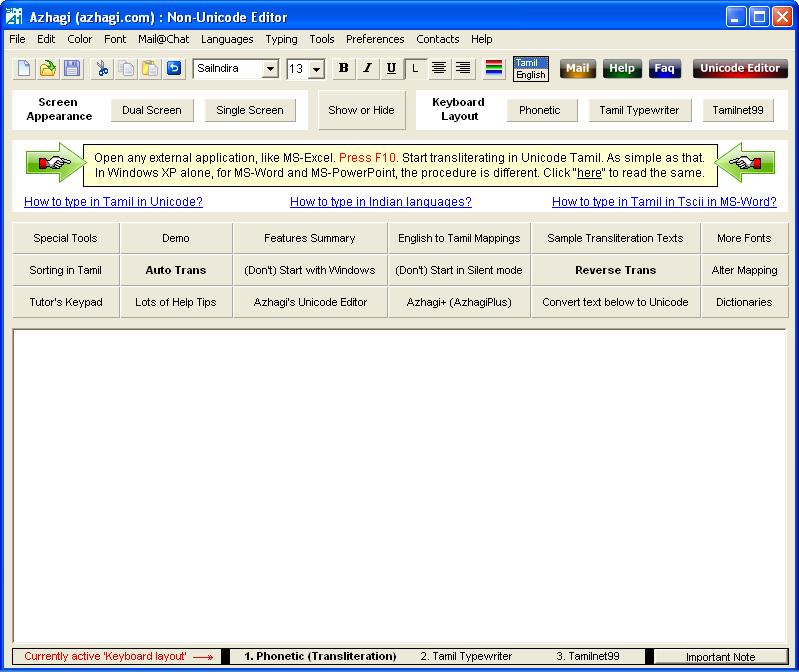 Using Azhagi or Azhagi+, just by pressing a single hotkey, you can straightaway start typing directly in Tamil, Hindi, Sanskrit, Telugu, Kannada, Malayalam, Marathi, Konkani, Gujarati, Bengali, Punjabi, Oriya, Assamese in ANY windows application - MS Word, Excel, PowerPoint, Gmail, Facebook, Skype, Blog, Twitter, Outlook, OneNote, Notepad, WordPad, Adobe applications (PageMaker, Photoshop, ...), OpenOffice (Writer, Calc, ...), etc., etc. 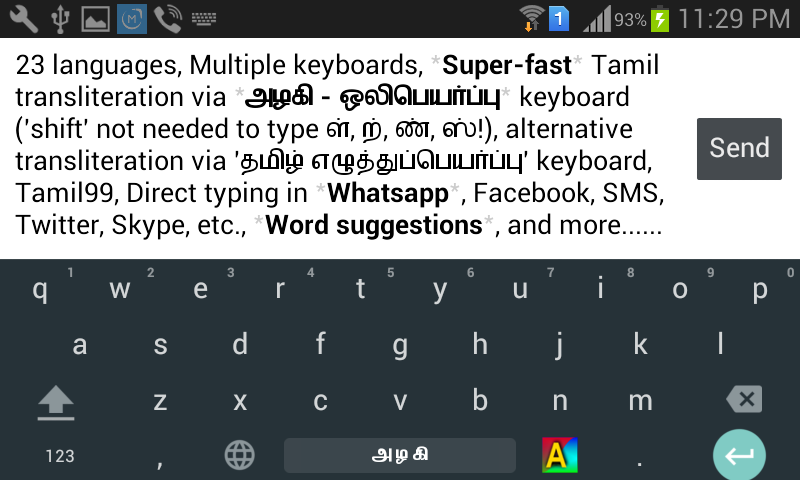 So, there is nothing much for me to provide here in terms of snapshots, when it comes to typing in other applications. Some screenshots of Azhagi+ and Azhagi screens alone herebelow.